Avedon was a revolutionary figure in the genre of portraiture with his ability to exquisitely capture both motion and emotion. The presence of his models and the intensity of raw human emotion that he was able to encapsulate in his photographs is absolutely mystifying. His signature minimalist style with his sheer white backgrounds and black edging allows all the focus to be on the subject of the portrait. His evocative images make me understand the fear of having one’s soul captured in a photograph. As I walked through the exhibit my world disappeared around me and I was completely immersed in the beauty and significance of Avedon’s work. 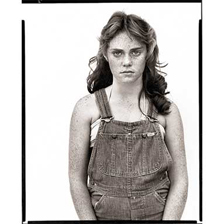 His iconic celebrity images were stunning, but so too were the poignant images of his In the American West collection which called attention to social issues of the time. He brought forth the faces of humble Americans that might otherwise have never been seen, and whose stories might never have been told and treated those people with the same attention and respect that typically is reserved for those in political power or of celebrity status. To miss this exhibit would be to do yourself an incredible disservice. 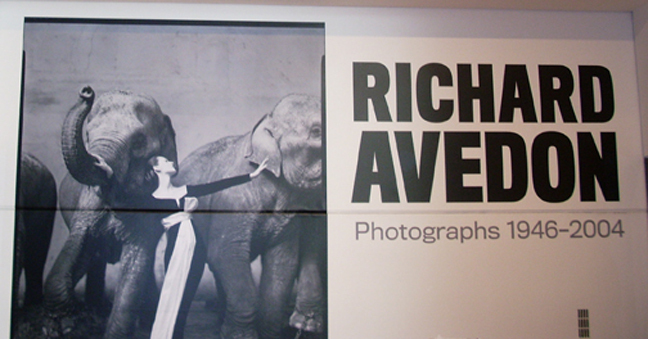 Take the time to head over to the MOMA and soak yourself in the exquisite artistry of Avedon’s work. Whether you are a muesuem-o-phile, like myself, matters not; the incredible beauty of this exhibit will touch your life in a such a way that you will walk out of the museum a little different than you walked in. 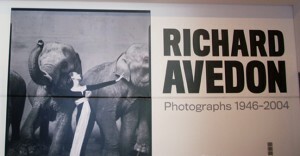 Great art has that kind of power and Avedon’s work has an overflowing abundance of it.